Snakedance is one of those television shows which features a famous actor, before they were famous, in this case, it is Martin Clunes, who spends the story dressing like he was auditioning for Adam and the Ants! Pushing aside all the jokes about his wardrobe, Clunes actually delivers a solid performance, which is something coming from me, as I'm not his biggest fan. This is the future Doc Martin's first television appearance ever, as the character of Lon, the bored aristocrat who falls under the influence of the malevolent Mara. And alongside Janet Fielding's wonderful performance as Tegan, also under the influence of the Mara, Snakedance is actually a pretty good story and works well as a sequel to the previous adventure, Kinda. Even nowadays, it is always something of a gamble when the producers decide to bring back a popular enemy. Some baddies work best as one offs and by bringing them back you risk diminishing what made them so good the first time around. And if they don't do anything new with them, you end up in danger of repeating yourself. Which is exactly what Christopher Bailey does here. Like many sequels, Snakedance is just the same toy, just stored in new packaging. 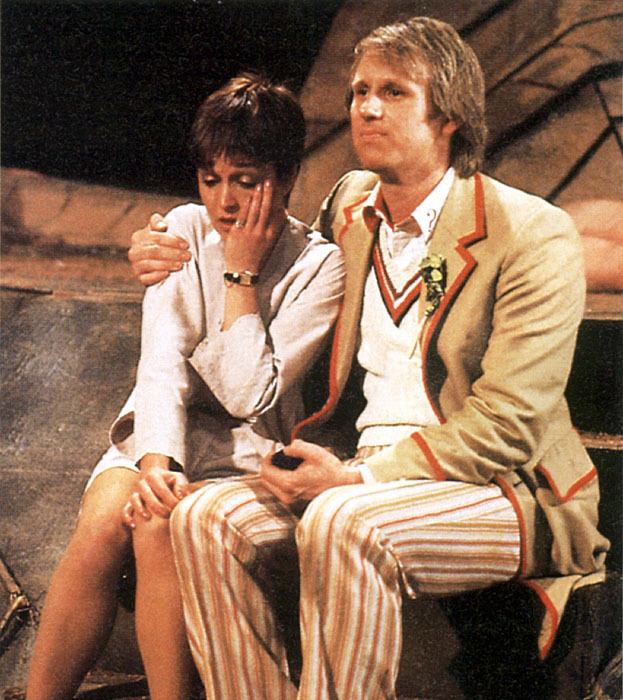 Bailey blatantly reuses the same plot from Kinda, with the Mara breaking into our reality once more by possessing Tegan again, causing untold havoc and then being sent packing by the Doctor at the last minute. It just takes place in a brand new setting. Instead of the obviously fake forests of the Kinda planet, the action shifts to the obviously fake deserts of the planet Manussa, a planet where the Mara used to rule. But now the inhabitants view the legends of the Mara as nothing more than superstitious rubbish. So sceptical of the Doctor's claims that the Mara has returned to kill them all, that the Doctor is met with a bit of jail time. 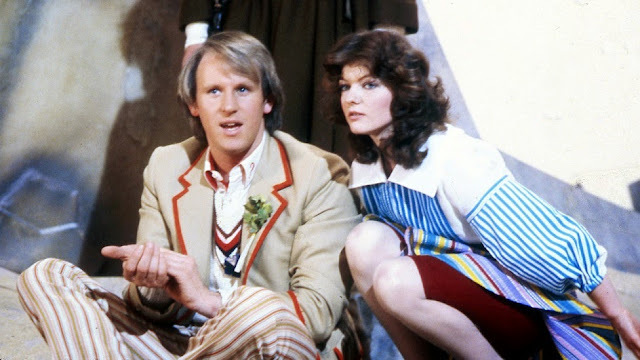 This is another one of those stories which lazily side-lines the Doctor by putting him behind bars - for an entire episode! Even for a story which runs for four parts, the amount of padding on display here is excessive.